An Interview With The Edgy Las Vegas Rock Band, ADELITAS WAY! 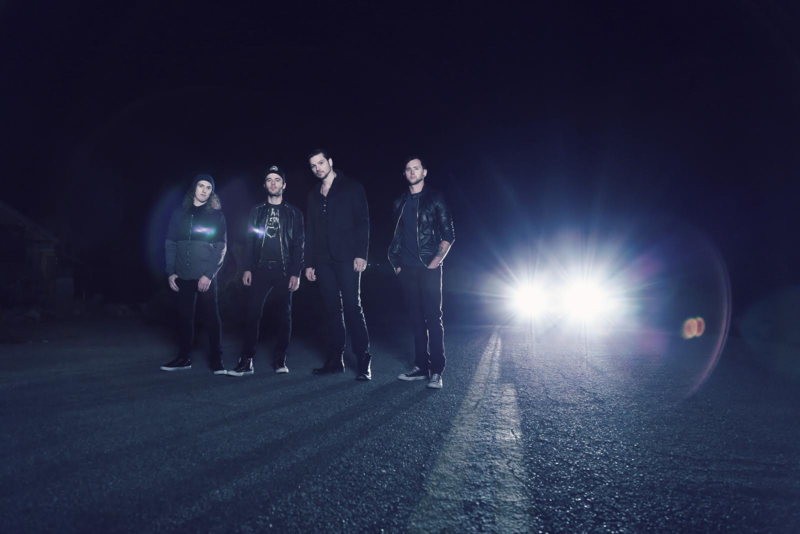 Edgy Las Vegas-based hard rock outfit Adelitas Way formed in 2006, but it wasn’t until 2009 that they broke into the mainstream. “Superstars” show; and was also featured in the THQ video game “Raw vs Smackdown” and on Fox Sports Network as college football’s theme song. It was also featured on ESPN Monday night football, and on Fox Network for the MLB playoffs. Formed by lead vocalist Rick DeJesus, the band (which also includes Trevor Stafford, Robert Zakaryan and Andrew Cushing) released its debut on Virgin Records in 2009, and had a top 5 single with “Invincible”. The band’s sophomore effort, “Home School Valedictorian”, arrived in Summer 2011 and spawned 4 – Top 5 singles “(Sick (#1), Collapse”, “Criticize” (#1), “Alive”) at Rock radio. The record was the band’s highest selling album to date, selling over 160,000 copies and over 1 Million singles. In 2013 the group entered the studio with Grammy Award-winning producer Nick Raskulinecz (Rush, Deftones, Three Days Grace, Coheed and Cambria) to record “Stuck”, which was released the following year and featured the hit single “Dog On A Leash”. The song peaked at number seven on the U.S. Mainstream Rock Chart. 2015 saw the release of the “Deserve This” EP, and in early 2016 the band issued their fourth studio long player, “Getaway”. The single from that LP – “Bad Reputation” – also reached the top 10 at Rock radio. The band has released a new single “Ready for War” (Pray for Peace) on Sept 30, 2016. The song is steadily growing @ Active Rock. 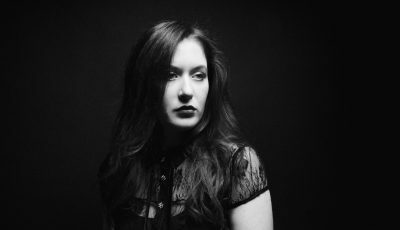 The band has toured with Guns N Roses, Shinedown, Creed, Alter Bridge, Three Days Grace, Halestorm, Theory of a Deadman, Breaking Benjamin, Staind, Flyleaf, Buckcherry,The Pretty Reckless, and Godsmack. They have played the Main stage at the many of biggest Rock festivals in the US (Rock On The Range, Carolina Rebellion, Louder Than Life, etc.). We are blessed, the train is rolling nicely for us this year, just like it has been since 2008! “Bad Reputation” was massive for us – it went to #11 @ Rock Radio on our own label. We’ve been out on a 40 date headline run playing full rooms every night, and we’ve toured with our friends in Alter Bridge, Thousand Foot Krutch, Buckcherry and more this year. We are entering a music business that is about the artists for the first time in a long time, and we are helping and grateful to be a part of that change by making bold moves. How did you all first meet and decided to start Adelitas Way? Why do you think you all work so well together? How do you think your band dynamics have changed since you began making music professionally? I started the band in 2006, and started playing acoustic shows in Vegas. I met Trevor (Stafford) in 2008 – his dedication, loyalty, and hard work showed me immediately that I had my right hand man! We all are driven: we break down every road block and barrier in our way. Besides having chemistry on stage and when we write, we are friends. We stick together and we solve problems. Some people are meant to do this, and some are meant to pursue other careers. With Trevor and Andrew(Cushing) I have guys in this for life! We continue to work hard – we really enjoy what we do. It’s hard work, but it’s very fun. 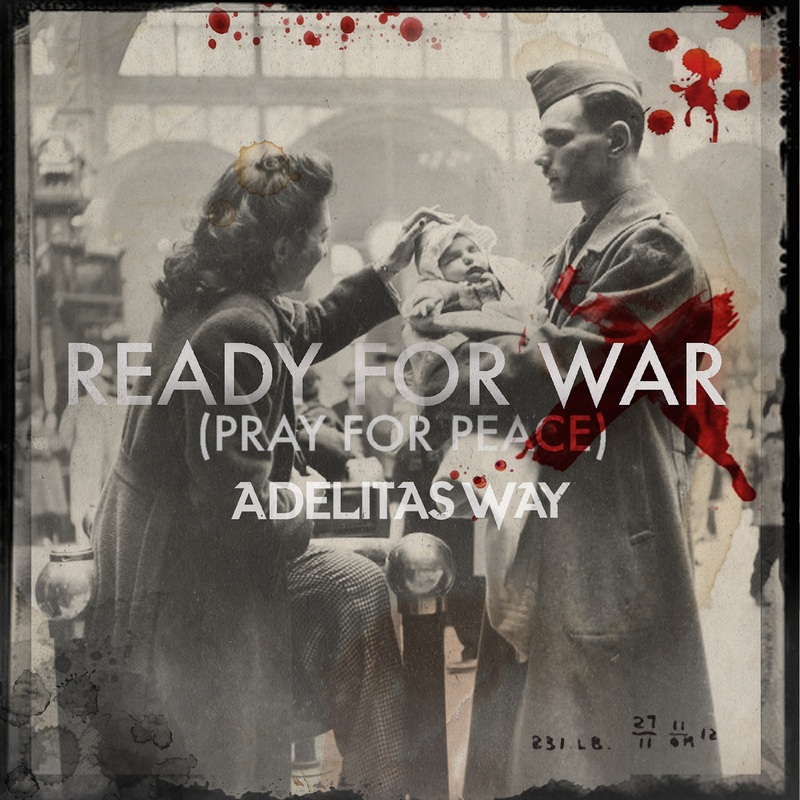 You recently released your newest single “Ready For War (Pray for Peace).” What was the inspiration for this song and how did it come together? It’s just the way I feel – my best friend is in the military, and I have another close friend who is an officer. As fathers and supporters of our country, when we talk we all feel this way. We want love and peace, but evil is real – so we must be ready for it. Protecting my family and loved ones comes first. I’m proud to be a American, and blessed to have a life I really enjoy… I’m ready to fight for that anytime/ anyplace. When do you plan on releasing your full-length 5th studio album? 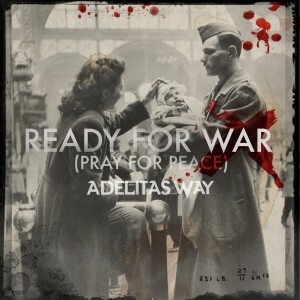 How does “Ready For War (Pray For Peace)” prepare fans for the rest of this forthcoming collection? We’ll be releasing a new album in the spring of 2017 – but new music will continue to be released up to that point as the business is changing…. It’s time to release music, and I feel really good where I am as far as writing and creating music. I’m focused on returning to my roots a bit as a songwriter – I want to release great songs that have a message, the main focus for this album will be great songs. As it should be! I’m curious to know with your background of putting out chart-topping rock radio singles like “Invincible”, “Sick” and “Criticize”, what do you all think the ingredients are to making a rock song that gets love at Rock radio? What has touring been like for the band lately? How do you approach a long touring schedule differently now then what you used to? Touring has been great, there is a group of artists who have been trying to change things for the betterment of artists as a whole – like Alter Bridge, Buckcherry, Trapt, Nonpoint, TFK, and ourselves. We all can fill clubs, and together we fill even bigger places. It’s a great group of alliances as we play in front of truly great rock fans every night! We’ve been touring nonstop for over a year on this album cycle (“Getaway”) – we’ve been playing full rooms so it’s been great! I always make sure to get rest…. I do yoga, I eat healthier because I have to be ready every night to put on a great show. I take it seriously. On the nights it makes sense to have a good time, we always do it as a band. So many great bands I’ve been blessed to play with: Alter Bridge, Korn, Three Days Grace, Shinedown, Five Finger Death Punch. Seeing their success is inspiring as it shows you that it’s still possible to go from playing small clubs into Theatres, and amphitheaters. I would love to play with all of them again! We just gotta keep having success and those shows will come. I just want them to enjoy it and to feel it – the message is all about Life! We all go through so many emotions that we can connect to – I want to help fans connect in every way possible with them. I want them to love it so deeply that they can’t miss a show when we come to town, I want them to remember us! We love our fans and we are excited to continue this journey and do what we were put on earth to do. Come see us live and stay in touch! 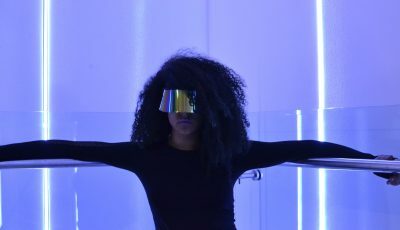 Pop/Rock Band ECHO BLACK Discusses New Music, Biggest Inspirations and More!